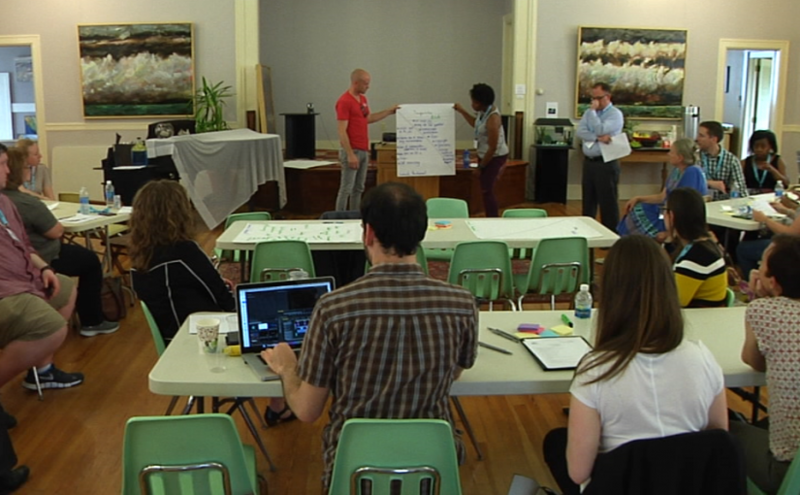 ZANESVILLE, Ohio – Ohio Community Development Corporations Association and Ohio Citizens for the Arts teamed up together to sponsor Creative Placemaking Ohio workshops. May 18, 2017 the workshop took place in Seilers’ Studio and Gallery on 7th street to teach people in the local area how the art community and the community developers can improve life opportunities for all residents. According to Bill Behrendt the executive director for Ohio Citizens for the Arts the Creative Placemaking Ohio Workshops were funded by National Endowment for the Arts to produce training sessions around the state. The workshop is for people to use the following two goals to grow the community. Co-Owner Michael Seiler said he and David Mitzel found and invited this workshop to Zanesville following events in Columbus Ohio regarding creative communities.